The aim of this study is to introduce an experimental model to produce blastema tissue and to prepare samples for distinction studies with Transmission Electron Microscope (TEM). Blastema tissue is a group of undifferentiated cells that are able to divide and differentiate in some parts of the body. New Zealand White male rabbits with body weight of less than 2.5 kg and age of nearly 6 months were used in this study. At first with the help of punching techniques 4.5 mL holes were produced in rabbits` pinnas and then in 4, 5, 6, 7, 11, 21 and 24 days after regeneration the tissues around the punching holes were biopsied, using a grasp with more diameter than the one which the holes had been caused by and then samples were prepared for histological studies with electron and objective microscopes. Qualitative and quantitative investigations of electron micrographs demonstrated that in punching site dedifferentiation of blastema cells was obvious. The number of cells of each type were counted and they were compared with each other. The surface of organelles such as cytoplasm, nucleus, endoplasmic reticulum, golgi sacs, mitochondrions, lysosoms and light and dark vacuoles were also measured and compared and then the related data were studied statistically. According to the results obtained from morphologic (cytological) and quantitative studies (comparison between different cellular organelles), The development of Blastema tissue cells regarding the time of study is obvious, so that the existence of chondroblast cells in chondrogenesis and endothelial cells in angiogenesis in 11 and 24 days after regeneration can be seen. So, considering the importance of understanding the blastema cells ultrastructure in mammals, morphology of their development and the fact that it has not been reported so far, this study is the first step and can be continued by other researchers. Regeneration is new growth of the cells similar to the injured cells structurally and functionally, instead of them (Kawamura et al., 2005). Restoration and healing up is a kind of regeneration in which epithelium and connective tissues will grow again (Alves, 2001; Pauwelyn and Verfaillie, 2006; Clark et al., 1998). Lately, a lot of progress has been made in the information about physiology of chronic wounds and functions and unique characteristics of fetal wounds and the ability of healing by peptide growth factors (Down and White, 2003; Okamoto et al., 2003; Metcalfe and Ferguson, 2005; Mahdavi, 2007). The histologic structure of rabbit pinna is made up of a single very unordered plate of elastic cartilage with a kind of lenient perichondrium on it which contains lots of elastic fibers. This cartilaginous layer is covered by skin on the dorsal and ventral surfaces (Ten Koppel et al., 2001; Mahdavi, 2007; Grimes, 2005). Rabbit pinna is an effective experimental model for doing regeneration and restoration process because after making a hole in the middle of rabbit pinna, all of the lost tissues will be reconstructed (Ten Koppel et al., 2001; Williams-Boyce and Daniel, 2005). In this research, rabbit pinna was used as a live experimental model. 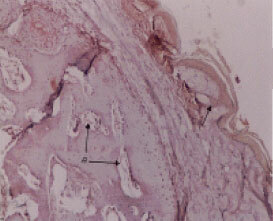 According to the references, after wound making in rabbit pinna, restoration, pigmentation patterns, cellular differentiation and similar processes to fetal periods or histogenesis can be well shown in these organs during regeneration steps (Yotsuyanagi et al., 1999; Mahdavi, 2007; Sardari et al., 2007). Among the mammals rabbits are very unique, since the rabbit pinna regenerates the injured or lost tissues from the edges of thickness of holes (Goss and Grimes, 1975). So, the purpose of this research is studying morphological processes of developing cells of blastema tissues during 5 to 24 days after the wound appearance with TEM and in the period of rabbit pinna healing. Blastema tissue is a group of undifferentiated cells which are able to divide and differentiate in some parts of the organism body (Suzuki et al., 2005; Abbott et al., 1981; Bauduin et al., 2000). The findings of this research and expanding the studies on blastema tissue development can also be applied in tissue engineering biotechnology (Juncosa et al., 2003). Since the basis of tissue engineering is using the cells and live substances or extra cellular compounds together, each of which naturally or synthetically and expanding the inducted parts or methods for reestablishment or function replacements. The importance of considering these situation, not only provides a type of new strategy in healing, but also some new ideas for making tissues or organs (Zhiming et al., 2000; Haverich, 2004; Gawronska kozak, 2004). The other aim of this research is getting some information about morphologic processes of blastema development in mammals. Morphologic studies of blastema tissues with electron microscope have not been reported so far and this makes our study new. In morphologic (cytological) assessments and ultra structural and quantitative investigations (organelle surfaces comparisons), the development of blastema cells is studied on the basis of time. A prospect of this research can be the usage of the rabbit pinna for injured tissue regeneration. More over, the cells after blastema culturing can be placed in biologic scaffolding then can be grafted in the injured tissue and regeneration process can be fallowed. Five rabbits were provided from Ghaem Hospital of Mashhad, which they weighed about 2.5 kg and aged about 6 months. The considered organ in this study was pinna. The method of rabbit pinna punching: First of all hairs of the pinna were removed with hair removing cream and then local anesthesia was caused by Lidocain solution. Then 3 holes with 4.5 mm diameter were made in three different anatomical regions of both pinnas of each animal with punching apparatus. Tissue preparation for transmission electron microscopy: In 4, 5, 6, 7, 8, 11 and 24 days after regeneration, those localities were punched with a punch of more diameter than the one which the holes were made by and then the specimens were quickly fixed in 2.5% gluteraldehide solution for half an hour in room temperature, and were then kept 24 h in the refrigerator. After that the specimens were at least washed four times in phosphate buffer (pH = 7.2) during 18 h. Next fixation in 2% Osmium Tetroxide was done for 1-2 h in room temperature. Then the tissues were again washed once in phosphate buffer and twice in deionized very rapidly. Dehydration steps were done completely with Merck ethanol solutions of different degrees: 50 and 70% (each of them for 5-7 min). The samples were then soaked in uranyl acetate for an hour in order to dye better in the end. Dehydration processes were then continued as fallows ethanol 70% (5-7 min), 95% (7-10 min) and 100% three times (each one 5 min); dehydration in Propylene oxide Solvent (5-15 min). After complete passage of the samples and resin curing by placing the capsules in 60 °C for 2 days, the blocks were first trimmed and then cut by ultramicrotome. At last they were stained with 5% lead citrate and 3% Uranyl Acetate, to be prepared for electron Microscopy. 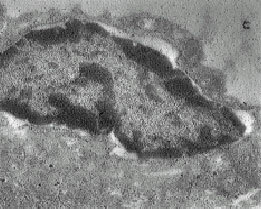 TEM model, with which the images were captured, was LEO 912 AB with 1 nm resolution and 80-500000 times magnification. Sample preparation for light microscopy: After punching the regeneration locality, just like electron microscopic preparation, the samples were fixed at first, but in bouin`s fixative this time and then washed in 70% ethanol. Other steps of tissue passaging were also done. After the tissues being cut, stained with three chrome Hematoxylin and Eosin, Orsein and PAS. Statistical works: On electron microscopic images, surfaces of different cellular organelles were measured in square millimeter with transparent millimeter paper. Different surfaces measured in this study were as fallows the whole cells, cytoplasm, nucleus, lipid beads, endoplasmic reticulum, light and dark vacuoles, lysosomes and mitochondria. Measurements of different surfaces were made in 4, 5, 6, 7, 11 and 24 days after regeneration. So, Table 1 was drawn in which different cellular and organelle surfaces were compared with each other in different days after regeneration. 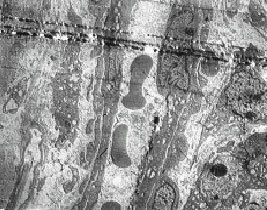 Microscopical results: On the basis of TEM images of punched localities in 4, 5, 6, 7, 11 and 24 days after regeneration, 3 different cellular types were observed. Cellular classification is brought in Table 1. In the fifth day the images show tissues` destruction and autolysis. Figure 11 shows a cell during autolysis. In the day 7 some cells with big and light colored nuclei can be seen, in which few organelles, light colored nuclei and the absence of condense chromatin in them are a sign of activity and probable beginning of the cells` differentiations. 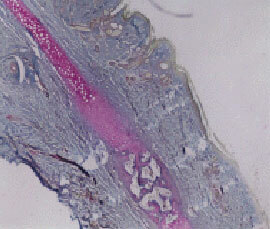 In light microscope images of the connective tissue under the epithelium, derm fibrocytes propagation can be identified (Fig. 1-3, 7). 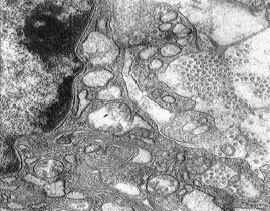 In electron microscope images fibrocytes can also be viewed dispersedly after the second week (Fig. 4-6, 8-12). 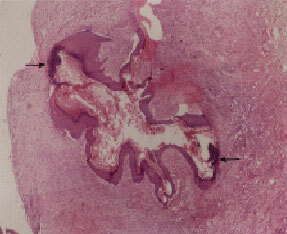 Before complete closure of rabbit ear holes, presence of stratified squamous epithelium (epidermis) around the hole is obvious. Figure 7 shows the cells in this phase. Blood vein increase can be observed in light microscope images, nearly 30 days after the holes closure (Fig. 3). 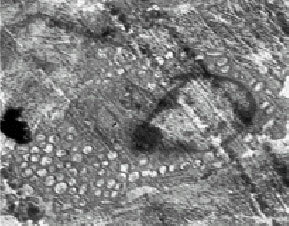 Appearance and increase of endothelial cells at the edges of blood veins and blood cells can be observed in electron microscope images. Figures 9 and 6 certify angiogenesis process. Chondrocytes presence can be observed in the week 3. Figure 11 represents chondrogenesis process which is also certified by light microscopy studies (Fig. 1). Statistical results: Table 2 indicates comparisons between different cells and organelles surfaces in several days after regeneration. • First row of Table 2 compares cytoplasm surface amounts in different days after regeneration, the maximum amount is shown in the 24th day, which shows more volume increase of the cytoplasm indicative of most active time of the cell. The least amount belongs to the 6th day which shows the least cellular activity. • In comparison of nuclear surface amounts in the days after regeneration, the maximal amount is in the 24th day, which shows strong activity of the nuclei and more cellular variation in this day. The minimal amount is in the 6th day which shows the least activity and cell numbers. 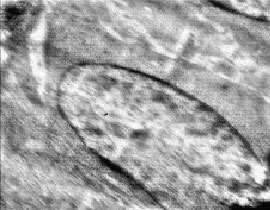 • Endoplasmic Reticulum (ER) surface in several days after regeneration shows the maximal amount in the 24th day, which is indicative of lots of cellular activity in this day, since the ER is expanded and substance synthesis and exchange is much in the cell and the minimal amounts belong to 5, 6 and 7th days, in which there are little activities in the cells. In the 4th day, there is very little activity, which with the occurrence of cell death process in days 5 and 6, decreases to none, just like the 7th day in which only cells with big nuclei can be observed and there`s not any organelle, but after cellular gradual differentiation, to different cell types in days 11 and 24, cellular activity increases and ER reaches to maximal amount. • Mitochondrial surfaces is compared in different days after regeneration. The maximal amounts can be seen in the day 24, which is again indicative of strong cellular activity from the point of view of energy production and the need to this organelle. Because of the absence of much activity in the days 4 and 7 and the cell death in 5th and 6th days, there is not any mitochondrial surfaces in these four days. • Surface of Golgi apparatus is compared in different days, in which the maximal amount can again be observed in the day 24, which is indicative of lots of cellular secretions and substances synthesis and exchanges and there is none in days 4 to 7. • Lysosomal surfaces unlike most of the other organelles reach their maximal amount in 5th and 6th days indicative of cellular death and destruction. Lysosomal surface increase probably shows the presence of macrophages and cellular phagocytosis during this period. • Lipid bead surfaces are compared with each other, in different days after regeneration, which shows the maximal lipid amount in the day 24 and none in the days 5, 6 and 7. • In the last row in Table 2 bright colored vacuole surfaces are compared, in which the maximum is again in the day 24 and the minimum in 6th and 7th days. This fact shows such vacuoles contain polysaccharides probably and these morphologic findings certify chondrogenesis which was also shown by light microscopy (Fig. 1). Understanding blastema tissue cells` ultra structure in mammals is important and for studying the relationship between form and function in blastema tissue cells, cellular behaviors and processes should be comprehended. 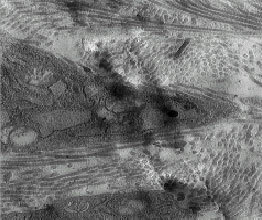 Considering the fact that such a research has not probably been reported so far, this study was done on the basis of morphologic studies and with the emphasis on cellular variation and cells ultra structures in regeneration locality, by the help of electron and light microscopy in several specific days after hole making in the rabbit pinna by punching technique. So, different cell types were observed in different stages of tissues reconstruction. The observed cells are brought in Table 1 on the basis of morphological characteristics, cellular behaviors and tissue`s classification. As Table 1 shows, cellular type A, was observed in all the days after regeneration. In the 4th day, cells with small and dark vacuoles were abundant, which probably contain lysosomes which will lead to cellular destruction. In the 5th day of regeneration, some cells with dark nuclei although in destruction, can be observed in which there are dark vacuoles. In the day 6, few cells with large nuclei were only observed, which these very few cell numbers indicate complete cellular destruction in the day before. In the 7th day, the cells seemed with large nuclei, but light colored, which probably show undifferentiation of this type of cells. In the days 11 and 24, nearly all A type cells were present which are indicative of cellular variation in these days. B type cells were named on the basis of cellular behaviors, in the days 7, 11 and 24. In 7 days after regeneration, the cellular behavior observed was low stainability of nuclei which probably shows undifferentiated blastema cells and blastema appearance must have nearly begun from this day, since there`s much cellular variation after the 7th day. In the days 11 and 24, specific cellular behavior such as exocytosis and intercellular conjunctions between epithelial cells are obvious. Exocytoses show ER and Golgi apparatus strong activity. C type cells on the basis of tissue cell types can be found in the days 11 and 24. In day 11th fibrocytes and epithelial cells are observed which indicate cellular variation and in the day 24 blood cells and chondrocytes can be seen. So, chondrogenesis probably begins from this day. It`s reported from Raghe about regeneration which vasculature in pre blastema of pre organs depends on presence of primitive steps of blastema bud in adult newts (Regeh, 2002; Giampaoli et al., 2003). In this study, vasculature needs the presence of blastema cells too. After 11th day, blood veins and blood cells appear. Revasculature and cellular redifferentiation in mammals begin in the second week of regeneration. Presence of endothelial cells of venules walls, certify this fact. In a study by Paul, from the disturbed locality of limbs, the blastema of regenerated organs in a population of larva with different ages, was grafted to the dorsal fin, together with anterior parts of spinal cord. 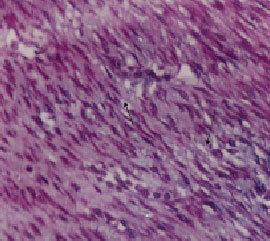 30 days after the experiments of blastema grafts, skeletal muscle fibers appeared in all age groups (Paul, 1962). In an other study by Poss et al. the experiments on zebra fish fin cutting was explained, in which blastema formation is a definite step of facilitating the next regeneration (Poss et al., 2000; Murciano et al., 2007; Nechiporuk and Keating, 2002). Fibroblasts and collagen fibers are probably derived from the cells which are called blastema in the 7th day of regeneration and aren`t differentiated and will be differentiated to fibrocytes in the 11 and 24 days. In this study the cells with blastema characteristics, which are probably blastema were also observed in nearly the first week of regeneration (Fig. 8). It probably seems that undifferentiated blastema cells appearance in mammals occurs earlier comparing with the amphibians and redifferentiation is more quickly than amphibians. In a report from Buduin, Lassalle and Boilly, effects of newts`limb blastema were studied on growth of the axon from the spinal cord (Bauduin et al., 2000; Tsonis, 2000). Redifferentiation in amphibians occurs between the days 22 to 40, so the redifferentiating cells can be identified in these days (Santos et al., 2002; Endo et al., 2004; Schwartz et al., 1985). DNA in eukaryote cells are not free and together with proteins enter in a structure called chromatin. The chromatin fibers with big diameters show high density of chromatin which is indicative of inactive chromatin (Wei et al., 2002). In seven days after regeneration, the cells have large and light nuclei which indicate low density chromatin and strong cellular activities. In Table 2 nuclei numbers were compared with each other in different days of regeneration and the maximum could be seen in the day 24, so it seems that the maximum cell numbers belong to this day. As it was shown in the Table 2, ER surfaces reach to maximum in the day 24 which is indicative of strong cellular metabolic activity, but in the days 5-7 the cellular activities are the least. 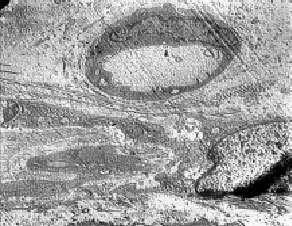 Microscopic observations guide us to conclude that after rabbit pinna punching, new cells and tissues are gradually appeared in the wound locality and after about one week some big nucleated cells can be observed which are probably blastema cells and must be the origination of all the other cells. In 11 and 24 days strong cellular activities can also be seen. Nuclear division, many propagating fibroblasts, exocytosis in some cells, many light and dark vacuoles and expanded ER, all are signs of cellular activities and probably differentiated cells formation. This research was supported by the grant of the research office of Mashhad University and special helps of Mrs. Pesian from the centeral lab of Ferdowsi University of Mashhad, Iran. Abbott, L.C., G.H. Karpen and G. Schubiger, 1981. Compartmental restrictions and blastema formation during pattern regulation in Drosophila imaginal leg discs. J. Dev. Biol., 87: 64-75. Alves, A.L.G., 2001. Effects of beta-aminopropionitrile fumarate and exercise on equine tendon healing: Gross and histological aspects. J. Equine Vet. Sci., 21: 335-340. Bauduin, B., B. Lassale and B. Biolly, 2000. Stimulation of axon growth from the spinal cord by regenerating Limb blastoma in newts brain. J. Res. Der. Brain Res. 119: 47-54. Clark, L.D., R.K. Clark and E. Heber-Katz, 1998. A new murine model for mammalian wound repair and regeneration. J. Clin. Imm., 88: 35-45. Cortesini, R., 2005. Stem cells tissue engineering and organogenesis in transplantation. J. Transplantion Immunol., 15: 81-89. Down, J.D. and M.E. White, 2003. Reprogramming immune responces: Enabling cellular therapies and regenerative medicine. J. Stem. Cell, 21: 21-23. Endo, T., S.V. Bryant and D.M. Gardiner, 2004. A stepwise model system for limb regeneration. J. Dev. Biol., 270: 135-145. Gawronska-Kozak, B., 2004. Regeneration in the ears of immunodeficient mice: Identification and lineage analysis of mesenchymal stem cells. J. Tissue Eng., 10: 1251-1265. Giampaoli, S., S. Bucci, M. Ragghianti, G. Mancino, F. Zhang and P. Ferretti, 2003. Expression of FGF2 in the limb blastema of two Salamandridae correlates with their regenerative capability. J. Proc. Biol. 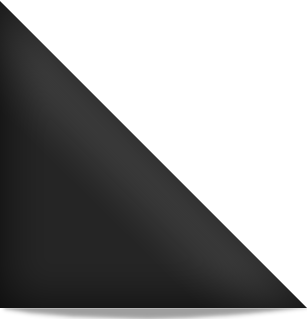 Sci., 270: 2197-2205. Goss, R.J. and L.N. Grimes, 1975. Epidermal downgrowths in regenerating Rabbit ear holes. J. Morph., 146: 533-542. Grimes, L.N., 2005. Parabiosed rabbit ears: An innovation for experimental subcutaneous implantation. J. Anat. Rec., 202: 297-303. Haverich, A., 2004. Tissue engineering. J. Cardio Thoracic Sur. Suppl., 26: 59-61. Juncosa, N., J.R. West, M.T. Galloway, G.P. Boivin and D.L. Butler, 2003. In vivo forces used to develop design parameters for tissue engineered implants for rabbit patellar tendon repair. J. Biomech., 36: 483-488. Kawamura, S., L. Ying, H.J. Kim, C.h. Dynybil and S.A. Rodeo, 2005. Macrophages accumulate in the early phase of tendon-bone healing. J. Orthop. Res., 23: 1425-1432. Koppel, P.G.J.T., J.V.M.O. Gerjo, C.D.A. Verwoerd and H.L. Verwoerd-Verhoef, 2001. A new in vivo model for testing cartilage grafts and biomaterials: The rabbit pinna punch-hole model. Biomaterials, 22: 1407-1414. Mahdavi Shahri, N., 2007. The histophysiological effect of bovine vitreous humor on tissue healing in normal and diabetic rabbits pinna punch-hole model. Abstracts,16th annual meeting european tissue repair society pisa. J. Wound Rep. Reg., 15: A98-A98. Metcalfe, A.D. and M.W.J. Ferguson, 2005. Harnessing wound healing and regeneration for tissue engineering. J. Biochem. Soc. Trans., 33: 413-417. Murciano, C., J. Pérez-Claros and A. Smith, 2007. Position dependence of hemiray morphogenesis during tail fin regeneration in Danio rerio. J. Dev. Biol., 312: 272-283. Nechiporuk, A. and M.T. Keating, 2002. A proliferation gradient between proximal and msxb-expressing distal blastema directs zebrafish fin regeneration. J. Dev., 129: 2607-2617. Okamoto, T., J. Toguchida and T. Nakmura, 2003. Tissue engineering for bone and cartilage repair. J. Nippon Rinsho. (Jap. J. Clin. Med. ), 61: 432-438. Paul, P., 1962. The influence of spinal cord on differentiation of skeletal musele in regenerating Limb blastema of Amblystoma larvae. J. Anat. Rec., 142: 169-178. Pauwelyn, K.A. and C.M. Verfaillie, 2006. Transplantation of undifferentiated bone marrow derived stem cells. Curr. Topics Dev. Biol., 74: 275-280. Poss, K.D., J. Shen, A. Nechiporuk, G. McMahon, B. Thisse, C. Thisse and M.T. Keating 2000. Roles for Fgf signaling during Zebrafish fin regeneration. J. Der. Biol., 22: 347-358. Regeh, M.A., 2002. Vasculature in pre blastema and nerve-dependent blastema stages of regenerating forelimbs of the adult newt, notophtalmus Viridescens. J. Exp. Zool., 292: 255-266. Santos, R.L., J.A. Santamaria, J. Ruiz-Sanchez and J. Becerra, 2002. Cell proliferation during blastema formation in the regenerating teleost Fin. J. Dev. 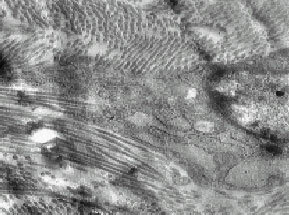 Dyn., 223: 262-272. Sardari, K., E.G. Kakhki and M. Mohri, 2007. Evaluation of wound contraction and epithelialization after subcutaneous administration of Theranekron® in cows. Comp. Clin. Pathol., 16: 197-200. Schwartz, M., M. Belkin, A. Harel, A. Solomon and V. Lavie et al., 1985. Regenerating fish optic nerves and regeneration-like respone in injured optic nerve of adult rabbit. J. Sci., 228: 600-603. Suzuki, M., A. Satoh, H. Ide and K. Tamura, 2005. Nerve-dependent and -independent events in blastema formation during Xenopus froglet limb regeneration. J. Dev. Biol., 286: 361-375. Tsonis, P.A., 2000. Regeneration in vertebrates. J. Dev. Biol., 221: 273-284. Wei, Y., E.V. Yang, K.P. Klatt and R.A. Tassava, 2002. Monoclonal antibody MT2 identifies the urodele α1 chain of type XII collagen, a developmentally regulated xtracellular matrix protein in regenerating newt limbs. J. Dev. Biol., 168: 503-513. Williams-Boyce, P.K. and J.C. Daniel Jr, 1980. Regeneration of rabbit ear tissue. J. Exp. Zool., 212: 243-253. Yotsuyanagi, T., S. Urushidates, M. Watanabe and Y. Sawada, 1999. Reconstruction of a three dimensiomal structure using cartilage regenerated from the perichondrium of rabbites J. Plast. Reconstr. Surg., 103: 1120-1123. Zhiming, Y., X. Huigi and L. Tao, 2000. Tissue engineering of musculo-skeletal system basice reserch and clinical application. J. Rew. Art, 5: 45-55.